Boxing is a blood sport, and an unsuccessful one for the majority of its participants. As a spectator we see the glory and the money that a successful career in the sweet science can bring, but it’s easy to forget that there’s countless fighters that don’t gain fame or fortune for all their efforts; some end up dead broke, homeless, or permanently injured. Some lose their lives all together. Former world champion Barry McGuigan put it perfectly when he said “The trouble with boxing is that too often it ends in sadness”. Classen passed five days after being stopped in the 10th round by Wilford Scypion at Madison Square Garden’s Felt Forum on November 23rd, 1979. 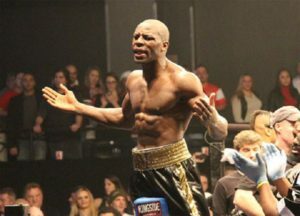 Classen appeared to be outmatched form the start, but held his own in the middle rounds before taking a hellish pounding again in the ninth round with fight ending just 12 seconds into the 10th. 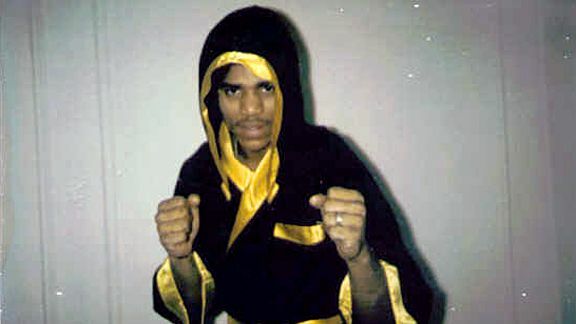 Classen was a 1970 New York Golden Gloves champion in the 160 pound sub-novice class. As a pro middleweight, he faced the likes of Eddie Mustafa Muhammed, Vito Antuofermo, John LoCicero and Tony Sibson though he had lost to them all. When he faced Scypion, he had been stopped in two prior contests against LoCicero and Sibson respectively, the Sibson bout taking place barely six weeks prior. Scypion was undefeated in 12 contests, with all 12 wins coming by stoppage. 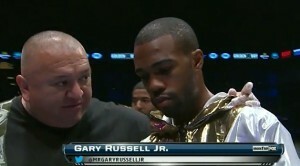 Garcia met Gabriel Ruelas, who was 40-2 at the time, for the WBC super featherweight championship. It was Ruelas’s third title defense and he had come in having stopped six of his seven prior opponents after taking a loss to Azumah Nelson two years earlier. Garcia had fought six months earlier, losing a lopsided 12 round decision to WBA champion Genaro Hernandez. 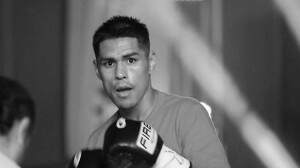 After 10 one sided rounds that saw Ruelas pitching a shut out on two scorecards, HBO commentator Larry Merchant expressed his feelings, saying “this is a fight that should be ended now”. Roy Jones Jr. agreed, stating (of Garcia), “this guys in bad shape”. Twenty five second into the 11th round, after a series of solid shots by the champion, referee Mitch Halpern finally stopped the contest but it was too late for Garcia, who would collapse in his corner minutes later and pass two weeks later at the young age of 23. The co-feature of the June 26th 2001 edition of ESPN’s Tuesday Night Fights saw IBU light heavyweight title holder George Khalid Jones face Scottland on the U.S.S. Intrepid in New York. It was Scotland’s first fight in nearly a year, and he was taking hard shots throughout. The non-title contest was nearing the end of the 10th round when a right hand from Jones dropped Scottland for good. 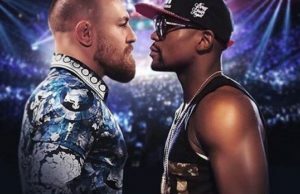 As medical personnel attended to the fallen fighter, ESPN’s Max Kellerman stated “you hope and pray that Scottland comes out OK, not just that he survives it, but that he survives it as he was before the fight”. He fell into a coma, and died five days later. Ali collapsed after suffering a sixth round stoppage at the hands of a young Barry McGuigan on June 14, 1982 at the World Sporting Club, Mayfair, London, United Kingdom. McGuigan had stopped eight of his 11 opponents to that point. Following his collapse, Ali was in a coma for a number of months, and passed away in December that year. McGuigan has since been attempting to connect with Ali’s family. Zerlentes was an amateur boxer and a 2002 regional Golden Gloves champion. A professor of geography and economics at Front Range Community College, she was matched with Heather Schmitz in the Colorado State Boxing Senior Female Championships at the Denver Coliseum. She was knocked out in the third round and never regained consciousness. Zerlentes is the first woman known to have died of injuries sustained during a sanctioned boxing match in the U.S.